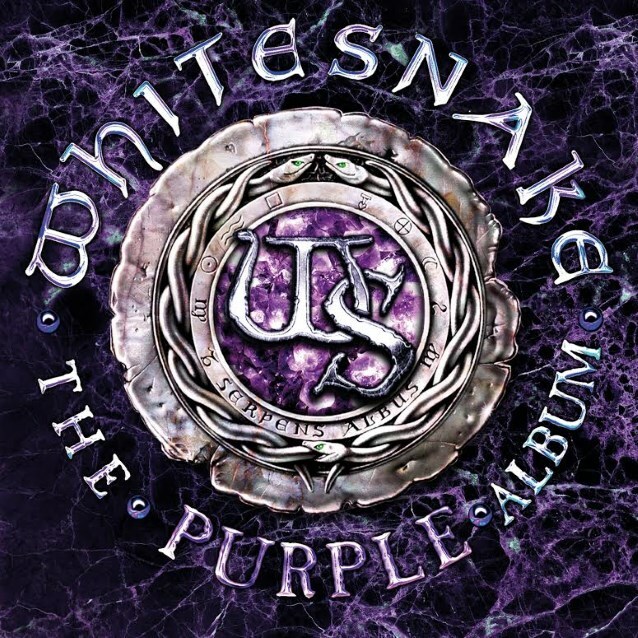 Home›Reviews›The Purple Album - Whitesnake Revisits David Coverdale's Deep Purple Classics! The Purple Album is Whitesnake's latest release, featuring rerecorded versions of songs David Coverdale recorded with Deep Purple from 1974-1975. Over the years, Whitesnake has become one of the leading names in classic hard rock. Founded by former Deep Purple vocalist David Coverdale, and featuring an ever-changing array of the most talented players in the rock and roll world, the group scored some major hits in the Decade of Decadence, and remains a force to be reckoned with throughout the music industry, still recording and touring the globe on a regular basis. Coverdale clearly wanted to forge ahead and make a standalone name for himself as an artist, away from the Deep Purple days of old that he was a part of. But, at long last, he has chosen to pay homage to this early formative period of his career in the form of The Purple Album, a collection of rerecorded songs from those legendary three Deep Purple records that he was a part of. Even to this day, Whitesnake’s lineup has continued to change on a regular basis, but they have continued to get the best names in the rock world in their corner. In their current lineup, the group features artists like former Night Ranger guitarist Joel Hoekstra, former Ozzy Osbourne drummer Tommy Aldridge (himself a member of Whitesnake back in the late 80s/early 90s), and Winger/Dokken guitarist Reb Beach. The Purple Album marks Whitesnake’s 12th full length studio effort. There are many reasons for artists to go back and rerecord their material, and it has become all the more common with a number of aging rock groups in recent years. David Coverdale has an interesting and lengthy history dating back to long before he formed Whitesnake, and it is good to see him revisiting and rerecording these standards. But how do these versions of the songs shape up? Should you pick this release up, or stick with the originals? Essentially, the good majority of The Purple Album takes these Coverdale-era Deep Purple tunes and reinvents them in a more straightforward hard blues rock style. Gone are the organs and keyboards, and in are harder, heavier renditions that actually sound like they would have been right at home on any one of the more recent Whitesnake releases. The current version of Whitesnake is one of the strongest lineups they have had in years; it is great to have Tommy Aldridge back behind the drum kit, and the always impressive Reb Beach absolutely tears things up from start to finish. In terms of musical ability, there is no question as to the prowess of the musicians here. The songs themselves are very good overall, and this fan is glad Coverdale and company did not simply rerecord the originals, note for note, verbatim. Are these better than the originals? No, but the new versions definitely have their own charm and appeal to them. The more straightforward hard rock direction works wonders for a number of these tracks, and the acoustic, slower numbers are surprisingly impressive. The lack of keyboards and organs is something of a disappointment; the late, great Jon Lord is the one who really left the greatest stamp on the original versions of these songs, and this release is lacking mostly in that area. That said, though, I doubt any fan of Whitesnake, David Coverdale, and/or Deep Purple will be disappointed in what they hear here. Overall, The Purple Album is an interesting collection of rerecorded versions of old Coverdale-era Deep Purple songs, which are a lot of fun for any fan to revisit. 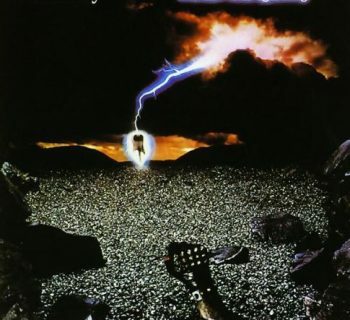 That said, the songs do not top the originals, but are appealing in their own way, with a sound that more resembles that of the newer Whitesnake records. While not a perfect release (there are a few Coverdale Deep Purple tunes missing here that should have been rerecorded too) it still comes highly recommended to any fan. 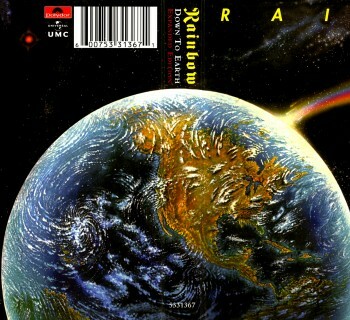 Rainbow - Revisiting Down to Earth, Featuring Frontman Graham Bonnet!